When travelers head to So Cal with golf intentions, lofty tee shots against clear Pacific backdrops are usually what they envision. While a few San Diego tracks overlook the Pacific, a myriad of sensational golf awaits just a few miles inland. 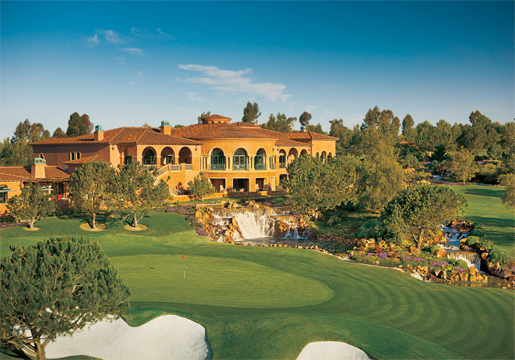 The Grand Del Mar, a AAA Five Diamond resort in San Diego’s North County, will soon launch their Coast to Canyon Golf Package, which will provide visiting golfers the chance to tee up on two must-play So Cal courses. 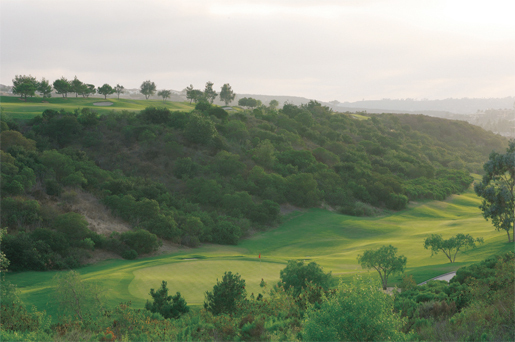 In addition to unlimited play on the region’s only Tom Fazio-designed course, The Coast to Canyon package includes a round of golf on Torrey Pines South, the legendary course situated on the coastal bluffs of La Jolla, Calif.
Two exceptional courses and two nights accommodations at San Diego’s top luxury resort are featured in this package with unlimited golf at The Grand Golf Club; one round of golf at Torrey Pines South, including luxury roundtrip transportation; 19th Hole handcrafted local beers at Club M each day; and daily breakfast. Cost: $985 for single occupancy and $1525 for double occupancy, two nights. Package is exclusive of hotel tax and gratuity. The Grand Del Mar, 877.814.8472, www.thegranddelmar.com.